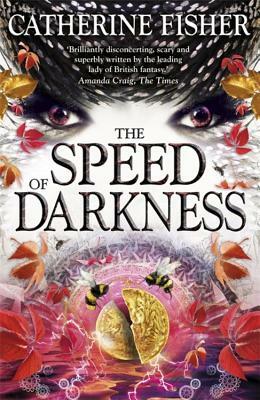 The Speed of Darkness concludes the series which began with The Obsidian Mirror, then moved on through The Box of Red Brocade and The Door in the Moon. In this final volume, a great storm brews out at sea and batters the Devon coast, flooding vast swathes of land. At Wintercombe Abbey the preceding weeks have been spent in a ferment of experimentation, as Jake Wilde's father, David and Maskelyne work furiously on Operation Leah. They have been practising changing tiny events in the past, in preparation for the rescue of Venn's wife Leah from death, the culmination of their work with the Obsidian Mirror. But in the aftermath of the storm, the Abbey is a drowned house. Where is the Mirror? What has happened to the two halves of the Janus coin? Whose is the mysterious boat wrecked up on the nearby beach? And what plans of mischief and mayhem lay in store for Halloween - the day chosen for Leah's return?